Obituary for Betty Bestervelt-Fisher | Stone Funeral Home, Inc.
Betty (Gloria) Bestervelt Fisher, 91 of Harbor Springs and Windsor Colorado passed away peacefully surrounded by family April 15, 2018 in Colorado. Betty was born Sept 6, 1927 in Kalamazoo, Michigan, the daughter of William O. and Mabelle (Weaver) Bestervelt. Betty grew up in Kalamazoo, Michigan where she attended Western Michigan University and earned a degree in Fine Arts. On June 25, 1949 she married Robert Blanchard Fisher in Kalamazoo and the couple made their home in the Detroit area and Birmingham, Michigan. 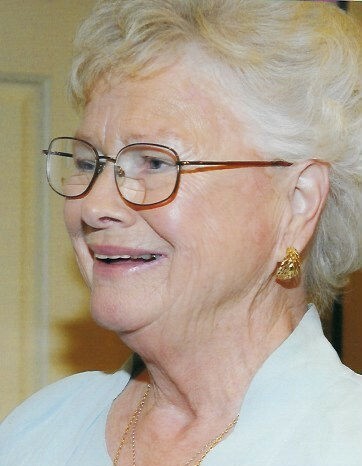 The couple moved permanently to Harbor Springs, Michigan in 1980 where Betty became an active member of the church, community and the quilting world. Throughout her life, Betty showed her love for all animals. She will be remembered for her big heart and amazing sense of humor. Betty is survived by her 4 children Susan Lee Roland (Dr. Craig) of Gainesville Florida, Debra Ann Dumler (Dr. Francis) of Vista California, Cynthia Louise Fisher of Harbor Springs and William Robert Fisher (Rachelle) of Greeley, Colorado. Also surviving are her grandchildren Christopher Stiff (Mary), Robert Stiff, Ralph Fisher, Tori Fisher, Jackson Fisher and Andrew Fisher. Betty has four great grandchildren Alexis Stiff, Christopher Stiff, Elizabeth Stiff and Kendall Stiff. She is preceded in death by her parents William and Mabelle Bestervelt, brother John and husband Robert Blanchard Fisher. A private graveside service is planned for September. The family suggests that memorial donations be made to the Little Traverse Bay Humane Society or Christ Child Society of Harbor Springs.